In case you don’t know, that image above is what the inside of the DC metro system (subway in New York, the T in Boston, the underground in London) looks like. 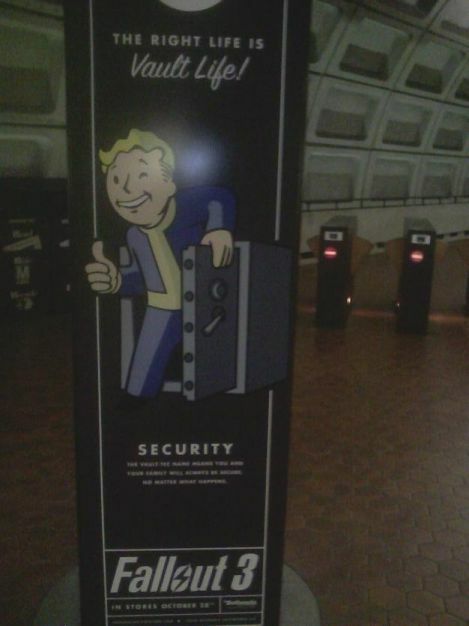 Also, in case you didn’t know, Fallout 3 takes place in a post-apocalyptic Washington DC in which much of the population lives in underground vaults. 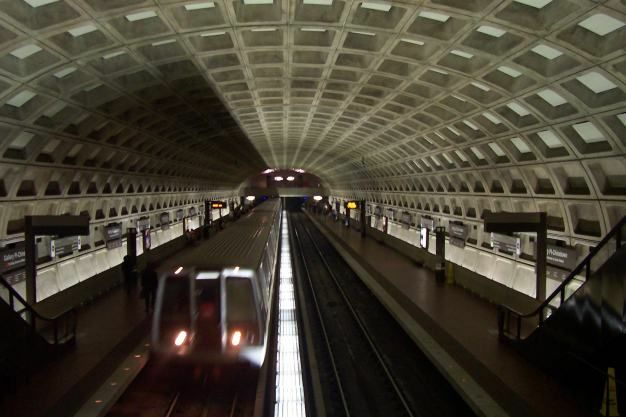 Now that you know those two facts you might start thinking how much the DC metro system looks like a futuristic underground vault. Turns out you wouldn’t be the only ones. 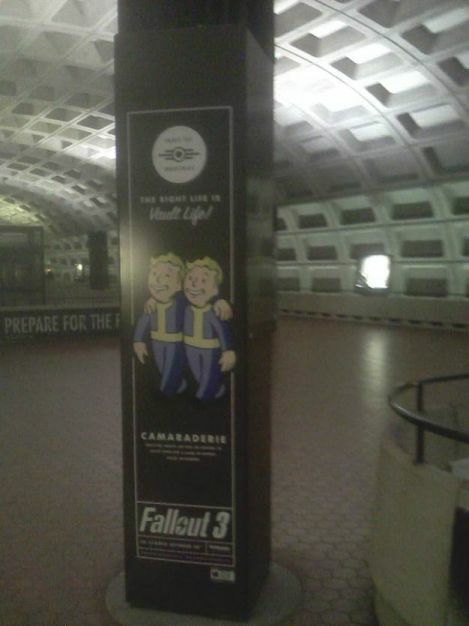 In a clever little advertising move Fallout 3, being published by Bethesda who is based in Bethesda, Maryland, just outside of DC, has taken over the Metro Center stop of the metro system. 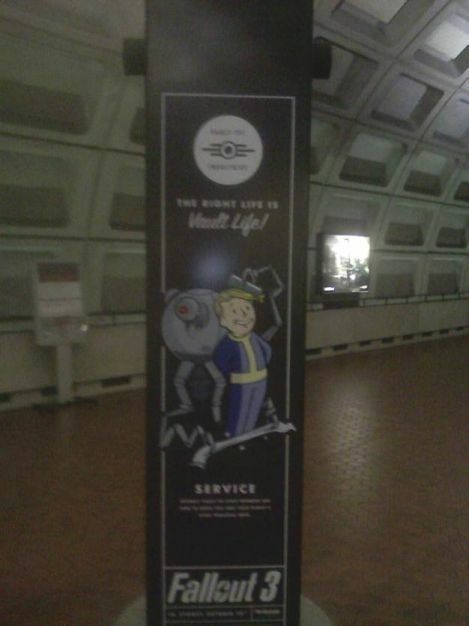 Every sign, pillar and banner is an ad for Fallout 3 that urges DC citizens to consider the benefits of vault life before, I’m assuming, the impending apocalypse. I snapped a few crappy cell phone shots you can check out after the jump, but there were plenty more of these throughout the station along with large lit signs of screenshots for the game. Now, I have to go join some homeless men and start camping out in the metro system.